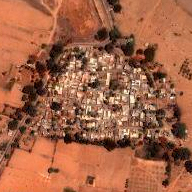 Click to see Kandwar, India on Google Maps. Friends are goodwill ambassadors of PK. They are not responsible for the activities but generally support the vision and activities carried out to execute the vision. They may or may not make any contributions other than developing goodwill for PK. City of Greater Sudbury, Ontario. in Marital Disputes, Sudbury, Ontario. Concurrently doing her Master of Science degree specializing in geochemistry and 3D modelling of ore deposits. and now an environmental activist, Mississauga, Ontario. Erleichda Wellness Yoga Centre, Windsor, Ontario. Small Business Owner, Sudbury, Ontario. Librarian at Laurentian University (retd. ), Massey, Ontario. School Principal (retd. ), Massey, Ontario. The Ontario Municipal Board, Toronto. Urban Planning Consultant, Toronto, Ontario. CPA, CFO, ImageScan, Pasadena, California. Director of Planning Services, City of Greater Sudbury, Ontario. School Principal, (retd. ), Durham, North Carolina. Nursing Professional (retd.) working on History of Nursing. Business Development Officer, City of Sudbury. Rose and Barton Pty. Ltd., Gisborne, Victoria, Australia. and workplace, Gisborne, Victoria, Australia. Her specialty is segmented marketing in the Kellog School style. Barrister and Solicitor, Toronto, Ontario. High School Teacher (retd. ), Sudbury, Ontario. Department of English, Laurentian University, Sudbury, Ontario. Ph.D. student, York University, Toronto, Ontario. Senior Planner, City of Greater Sudbury, Ontario.